Dale the Dalek, resident of Thornleigh Road for several years, are teaming up with us, Room 212 and Boston Tea party to raise money during the Wanderland. Make sure you pass by No 48 Thornleigh Road BS7 on the trail. Boston Tea Party will be offering FREE coffee and sample cakes outside Keith’s house during Window Wanderland whilst people have committed to putting on their swim wear, or wetsuits, and sitting in the beach scene during the trail. Sarah Thorpe at 212 and Lucy from Window Wanderland will be sitting, you can do the same, or pay not to….Get sponsored if you can! Call Keith on 907 8448 to sign up. Dale was created from the imagination of Carol and Keith Walker. They change his surroundings yearly. 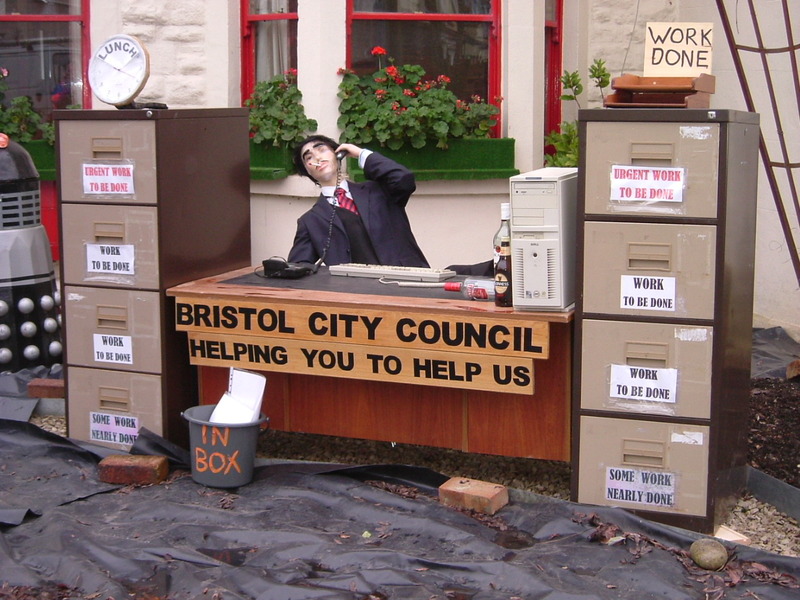 It was Bristol City Council last year. 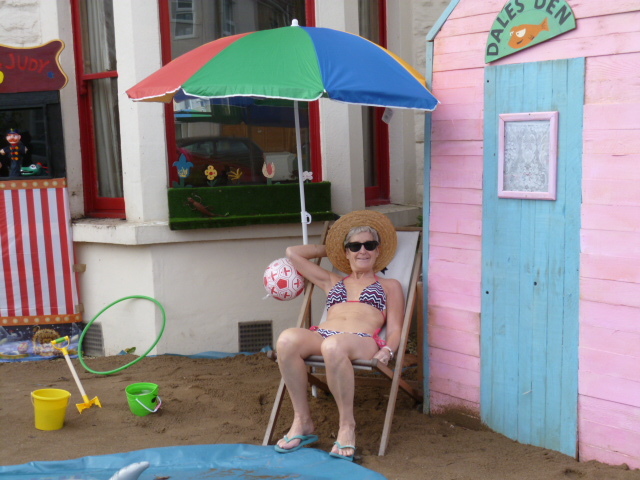 This year is the “Deck Chair Challenge” with seaside surroundings, but this time, Keith and Carol Walker are using Dale to help raise money for a very important charity: Children’s Hospice South West. They are raising money for this for personal reasons as their nephew had received treatment from the hospice a few years ago, and they want to raise awareness and to support the amazing work that Children’s Hospice South West do.